We have found the missing link between Sparks and Alvin & the Chipmunks! To some, the two groups are considered the most annoying of all time, but that’s not it. Come On-A My House was co-written by the man – and the actual voice – behind the vermin vocalists, Ross Bagdasarian (aka David Seville). 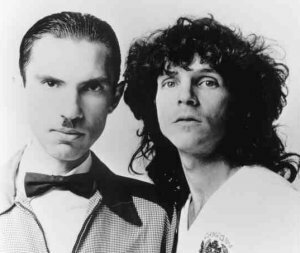 But whereas the glamourised rats achieved vocal perfection through tape speed manipulation, Russell Mael did it all on his own, skillfully speeding his way through his brother Ron’s complex compositions. 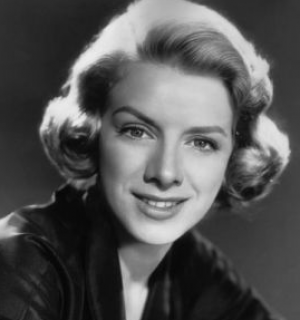 Come On-A My House was a huge mainstream hit for Rosemary Clooney on Columbia Records in 1951 and became an unexpected classic. The melody, based on an Armenian folk tune, soon became a highly popular novelty song. Clooney -- George's aunt (right) -- kept it in her repertoire right up until her passing in 2002. An ultra modern 2001 Motiv 8 club mix of Come On-A My House by Pop Country star K.T. Oslin was a hot dance track favored by DJs all over the world. 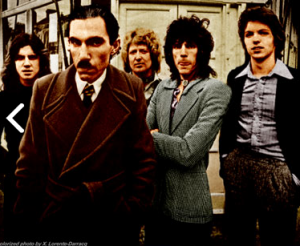 What Sparks favored – and jumbled – was the song’s title. 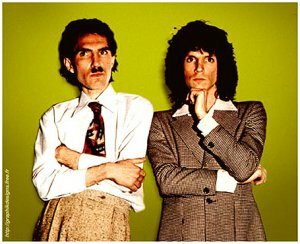 Although the Kimono My House album does not have a title track, we somehow get the feeling that the door to the Mael house is wide open. A strange party is going on inside, at which you are an honored and privileged guest. There is music playing but nobody can dance to it. There is an abundance of delicacies and lots of mingling celebrities, including Albert Einstein and his theorizing relatives. The family pets are all running for cover, confused by the high-pitched sounds. You hesitate to go inside, but you are transfixed by the haunting, echoing keyboard intro to This Town Ain’t Big Enough for Both of Us…and it ain’t YOU who’s gonna leave! 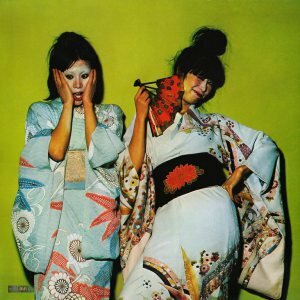 Walk with my teenage self through the world of Kimono My House, starting with side one . . .
As you pass through the enormous golden door of the Mael mansion and stand in the ornate entranceway, the beauty of Russell’s voice mesmerizes as you try in vain to decipher the words, and wonder what language he is actually speaking. The doorman knows three languages including Esperanto, but he is speechless. You are as relieved to find a lyric sheet inside as a drowning man is to find a raft, and 10 years later when you’ve turned 25 you realize what it all means. Walter Mitty, eat your heart out! Scenarios include stampeding zoo animals, aerial combat, cannibals, and the terrors of pursuing women. The uneven tempos, bombastic bass and cinematic punctuating gunshots might classify This Town… as the very first three-minute opera. In the dimly lit pillow-laden paneled den of the Mael house we find several fumbling young couples. 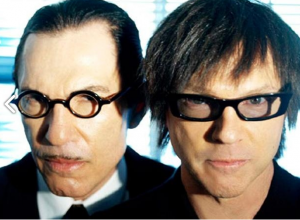 Every boy could easily relate to Sparks’ manual of teenage sexploits on Amateur Hour. The song was Sparks’ second hit single. Just when you thought Russell couldn’t possibly sing any higher, the final chorus takes it up an octave! The master bedroom is completely mirrored, and here we find Russell romantically singing to himself. Falling in Love with Myself Again could possibly be the first rock waltz. This narcissistic little ditty with its sinister organ intro is quite catchy when it switches from minor to major keys without warning. The bass and guitar interplay is stunning, as is the a cappella vocal by Russell during the middle eight. While consulting the lyric sheet again, you discover that the reverse of the inner sleeve has a wonderful photo of the brothers in a spotlight, similar to the one on the back cover. Looking on the bright side Romeo muses in Heaven, amongst the many, many sheep, “Basically, I guess it could be worse.” This song has another gorgeous vocal performance during which you can clearly envision Russell’s Adam’s apple doing aerobics. The production somehow evokes the sound of an entire orchestra. Thank God It’s Not Christmas sounds orchestral at times as well. 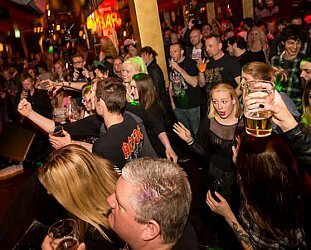 It is the soundtrack for our dejected singer, wandering through the hallways amongst the laughing and drinking guests, constantly looking for distractions to his monotonous life. Christmas must be a bummer for some, and where most yuletide songs celebrate the holiday, here is one that most certainly does not. Ron has somewhat of a one-note keyboard solo here, refreshing in its simplicity, when the few piano stars in rock at the time were running rampant like those in Emerson Lake & Palmer and Yes. Unfortunately, no one could put a stop to those mega bands for several years. 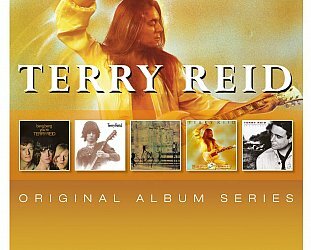 The song ends with a dramatic, resonating bang of a gong, rendering it pure theatre. We turn ourselves over for side two . . . Language barriers are the subject on Hasta Mañana, Monsieur. Again, the lyric sheet assists while Russell mixes up his Spanish and French in speedy English, trying to romance a German girl out on the vast green lawn. This song contains what is quite possibly the world’s worst pick-up line” “Kimono my house mon amour’’. Dinky Diamond plays Spanish castanets, and the melody sounds somewhat Germanic. At poolside, we find young Einstein’s relatives expounding upon his upbringing in Talent Is An Asset. The bass line rocks, and the tune won’t leave your head for weeks. Glam-style handclaps make this one a real foot-stomper. A short while later Complaints has a killer guitar fade-out that you almost wish went on forever. But what were you thinking? 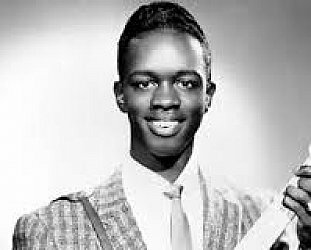 He’s probably angry with brother Ron for writing such difficult melodies for him to sing. You simply can’t follow Equator so it closes the album. This is the closest Russell has come to singing the blues. The saxophone (actually a mellotron), which he is seemingly battling with, is clearly losing the fight. Certainly his date was waiting for him at the Equator. He just didn’t walk around far enough to meet her. This is the song you put on when a friend has overstayed his welcome. It clears a room within two minutes, guaranteed. Coincidentally, the Maels’ party seems to be breaking up just about now, as Ron fetches everyone’s coats. He hasn’t much else to do now while Russell is left contending with the horrific horn. Nobody has ever been tempted, nor dared to cover this song, and nobody should ever try. Then it’s back to side one for another insatiable listen. This perfect, structurally sound 10-song opus of style, speed and melody is the definitive Michelin Guide to Britpop, beautifully executed by two American brothers with a British band. 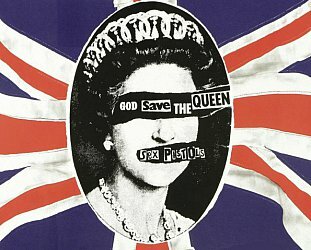 Critics and musicians then and now hailed it: “An instant classic” said NME on its release in '74; “It’s got the musical extravagance of Wizzard, the sophisticated feel of Roxy and the menacing power of the Third Reich, said Sounds at the time; and Kurt Cobain admitted, “There were some specific references: the guitar part in Love Buzz [on Bleach] was lifted from Sparks’ Kimono My House”. The forthcoming Los Angeles orchestral Sparks concerts at the Theatre at Ace Hotel on February 14 and 15, 2015 follow the stunning 40th Anniversary performances with the Heritage Orchestra, at London’s Barbican Hall in December where backstage guests included Roxy Music’s Bryan Ferry, members of Franz Ferdinand, Sonic Youth’s Thurston Moore and Kimono My House album producer Muff Winwood. 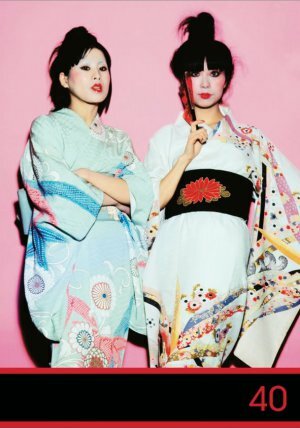 Kimono My House – reissued now on vinyl and download with recently discovered demos – is a unique musical monument, which wrote the blueprints for future generations. It resonates to this day. 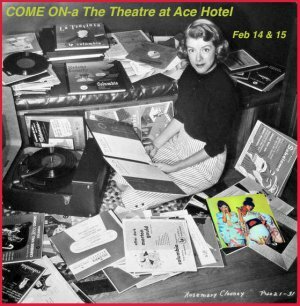 New York native Madeline Bocaro has written and consulted for Dazed & Confused and Mojo magazines, and for biographies including Stardust: The David Bowie Story (McGraw Hill, 1986), Yoko Ono (MacMillan & Co., 1987), The Wild One – The Story of Iggy Pop (Omnibus, 1988) and Mick Ronson – The Spider With The Platinum Hair (Independent Music Press, London, 2003). She was a research assistant on the Klaus Nomi documentary film The Nomi Song in 2005. Madeline was a staff writer for CMJ from 1976 to 1981. She has contributed articles to Discoveries, Goldmine and Chicago’s Roctober magazine. She was at the recent London concerts and will be at the Los Angeles concerts, of course!